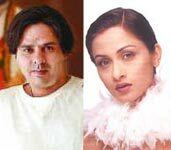 Actor Rahul Roy has won Big Boss, one of India's biggest reality shows. Model Carol Gracias and Bhojpuri actor Ravi Kishen were the last to be evicted. All former contestants came together to celebrate the occasion. 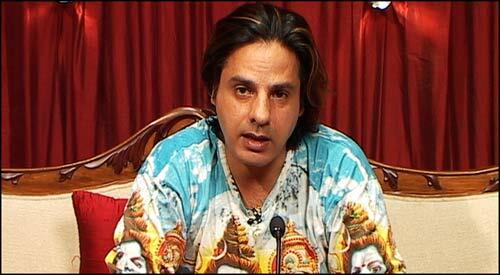 Rahul Roy walked away with Rs 50 lakh prize money after three months in the house. The prize money was handed over to him by actor Arshad Warsi, the host of the Indian version of UK's Big Brother. The show is hitting the headlines following the race row over actress Shilpa Shetty which has caught the international fancy. A "stunned" Rahul admitted that the going was not easy inside the house, in the three-month stay, but attributed his success to the Almighty and his Guruji. Bigg Boss, the Indian version of the British reality show Big Brother reached its grand finale on Sony TV on Saturday night with struggling actor Rahul Roy walking away as the winner. Rahul beat model Carol Gracias and Bhojpuri actor Ravi Kisshen, who were the finalists in the show, to be voted as the winner. Rahul wins Rs 50 lakh as prize money for the show. Thirteen handpicked celebrities from various fields participated in the show in which each week one housemate was evicted through a system involving public and in-house voting and the celebrity who got the maximum number of votes got evicted. The show had begun around three months back. Some of the evicted contestants were also allowed back into the Bigg Boss house. Some of the Bigg Boss participants, who had been evicted earlier, made an appearance in the grand finale including, model Anupama Varma, model and actor Aryan Vaid, singer Baba Sehgal, actor Kashmira Shah, item girl Rakhi Sawant and actors Amit Sadh, Bobby Darling and Roopali Ganguli. Nagma was dating a Pojburi actor Ravi Kishan and was said to be getting ready to marry atleast him. Ravi Kishan himself told all that, he is dating Nagma and he wanted to marry her. There was no refusal for this news, from Nagma and Nagma kept pairing with this guy in almost all the movies acted by him. Now, suddenly there was a declaration from her that she never dated him and all the news that appeared in the media are false and simply gossips. To be noted is, there were gossips of Nagma dating almost all celebrities in India. You'll never come across a success story like this again. This is the amazing story of Ravi Kishan. A small-time Bollywood actor, best-remembered as one Sridevi's lieutenant's in Army and as the benign purohit hopelessly devoted to Bhoomika Chawla in Tere Naam. In real life it's becoming increasingly hard for Ravi Kishan to remain devoted to his simple sweet rustic wife. His popularity in Bihar and UP where Bhojpuri films have a predominant market is dhoti-phaad. The dhoti has never been sexier for the ladies. Bashful seemingly dutiful middleclass housewives in UP and Bihar sneak out of their homes to view the latest Ravi Kishan masterpiece and sneakily lust after him and fantasize about him. Out of the 17 Bhojpuri films he has done in four years 16 have been super-hits. 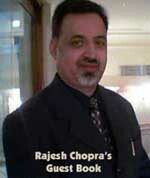 Many leading ladies from Mumbai are keenly desirous of working with him. But it's Nagma who's wangled the privilege of being Ravi's constant heroine. They're known as the Dharmendra and Hema Malini of Bhojpuri cinema. Wardrobe malfunctions are almost a part and parcel of most fashion shows — and the latest to suffer the embarrassment was model Carol Gracias, whose top slipped off on the runway yesterday. It was a halter with slim strings and the knot suddenly opened up. The incident took place during designer Bennu Sehgall’s show in the afternoon. Carol exited the catwalk after a quick rescue with poise and attitude. Deservedly, she received an ovation from the audience. “It was purely accidental. The strings came off and there was nothing we could have done. However, Carol handled it beautifully, with grace and dignity. I think she is brilliant and I’m really glad she was part of my show,” commented Bennu. Bigg Boss paid Ravi Kishan 40 Lakhs !